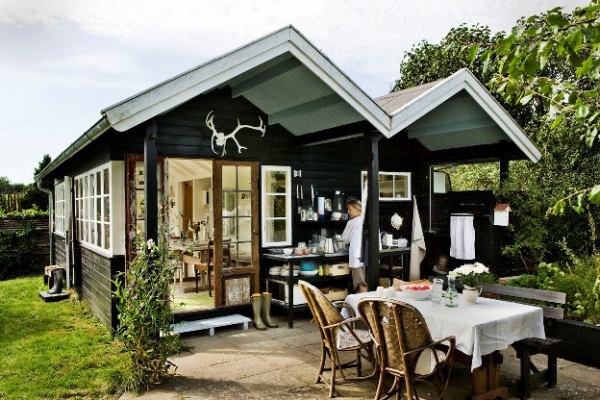 This is a cozy and beautiful small home in Denmark’s Søllerød Nature Reserve. Its owners Henriette Willerup and Anton Greiffenberg possess more than a home in this property since its charm and appeal also makes it a great retreat location. On the outside, the home provides visual charm with its unconventional combination of dark and light colors. Designers were able to make ample use of the limited space available in this home. The main section in the home occupies the largest area and accommodates both living and dining spaces. In the living area, there is a predominantly white sofa set accentuated by light brown cushions. An elongated dining table sits at one end of the room and is surrounded by uniquely natural seating options. The room is well illuminated by ample natural and synthetic lighting. 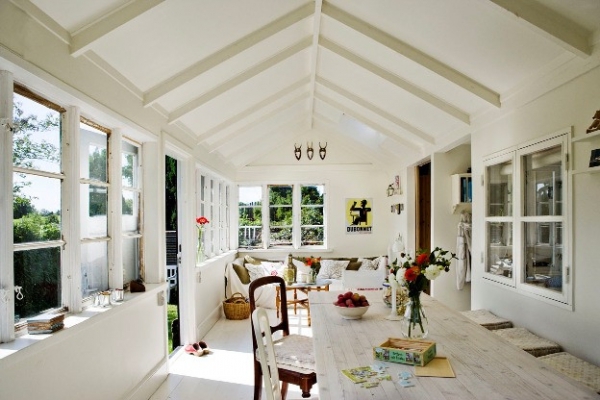 The white and light dominated color scheme helps to facilitate the light and airy atmosphere created inside the room. 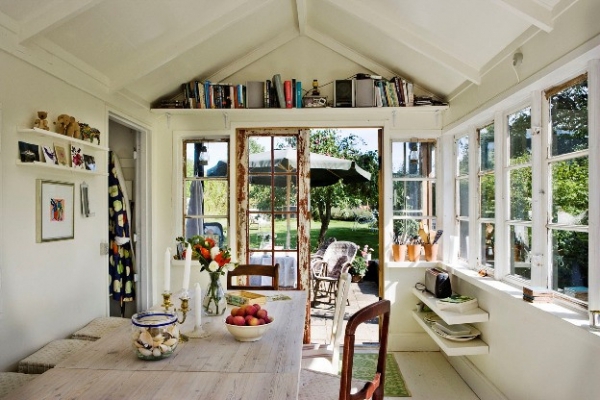 A mini loft over the entrance door functions as a personal library. Villa Else stands in the midst of a natural haven and when visitors and occupants step outside they get to feast their eyes on many of nature’s remarkable assets. 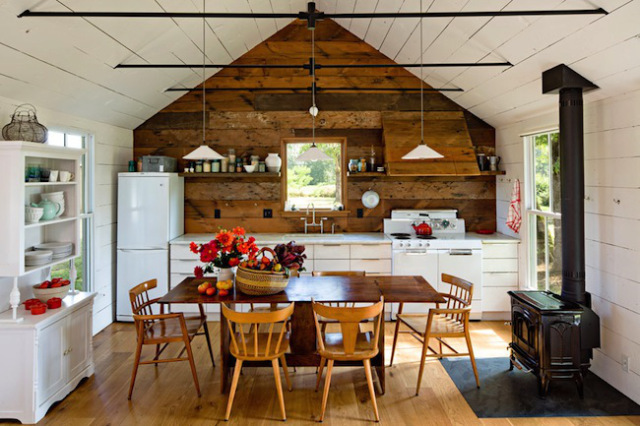 The kitchen stands on the back porch and a convenient open air eating space is also accommodated there. This home is without a doubt.